Joseph Mpawemina is a member of the coffee growers’ cooperative at Musema, Burundi. With 1,250 coffee trees, it is expensive and hard work to mulch the trees in the dry season. The work involves cutting bundles of grass and spreading the grass on the ground between the coffee trees to prevent the growth of weeds, preserve the moisture in the soil and eventually to form compost to improve the fertility of the soil. Work is also needed to prune the trees following the harvest of the coffee beans. Joseph takes pride in the way he looks after his coffee trees. Despite the hard work, this has not been a good year for Joseph’s coffee. He has only harvested 4,374kg of ripe coffee cherry (less than 3.5kg cherry per tree). In good years, he should be producing 8-10kg cherry per tree. National coffee exports are down to an all-time low. One of the main reasons for the decline and fluctuation in yield is the lack of pruning. Many farmers, like Joseph, are finding that it is too expensive to manage their coffee plantations and as a result, many coffee plantations are poorly managed or have been abandoned. They are reluctant to remove the trees, as this was banned by the government. FH Burundi is trying to help Joseph and other coffee growers to get a better price for their coffee. The farmers have formed their own cooperative and are raising the funds to take over the operation of their own mini washing station to produce high quality coffee which will get a better price. 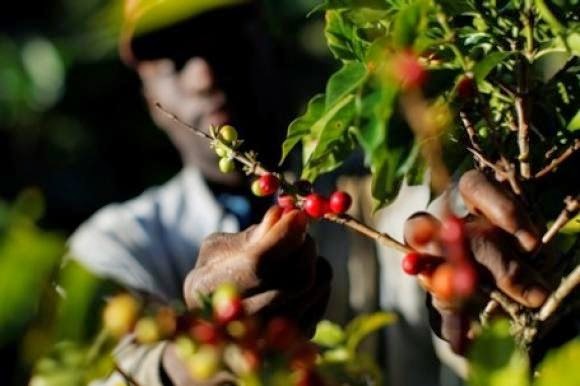 FH Burundi is also working with the coffee growers to improve the productivity of their trees. We are hoping to get the support of the national research institute to carry out more trials with coffee growers to see if other food crops can be grown successfully alongside the coffee. Joseph would like to plant more bananas in his coffee plantation and feels that both the coffee trees and bananas would benefit from the mulch he is putting on the ground. We think he is right.